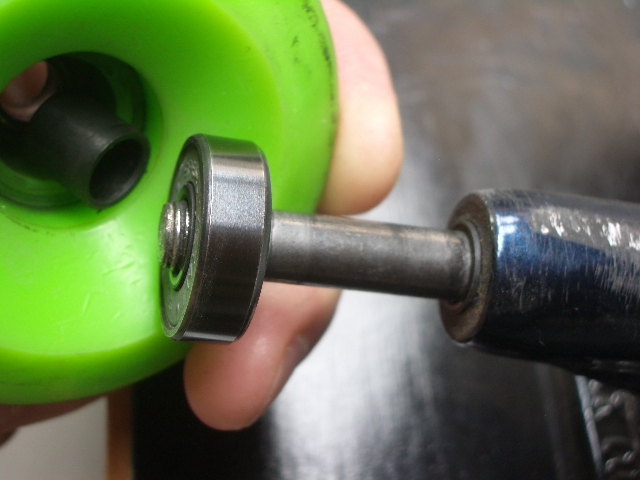 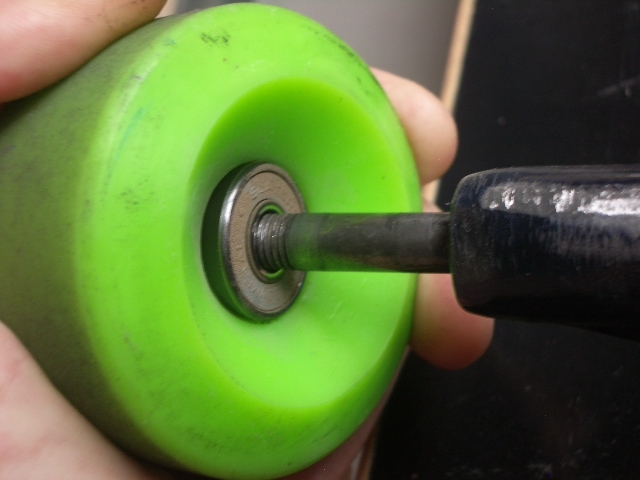 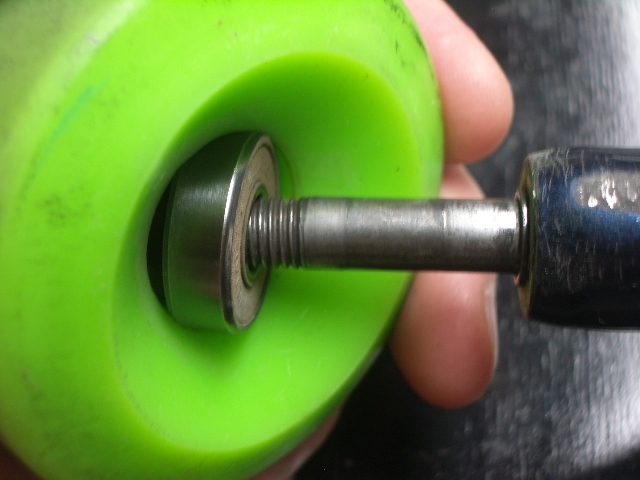 project skateboard and ramp design co.
to remove a bearing from a wheel, remove the axel nut from the truck, slide the wheel off until the tip of the axel is in only as far as the thickness of the outside bearing, then twist and pull…you will end up with the wheel in your hand and the bearing on the axel…turn the wheel over and repeat…no tool, no problem! 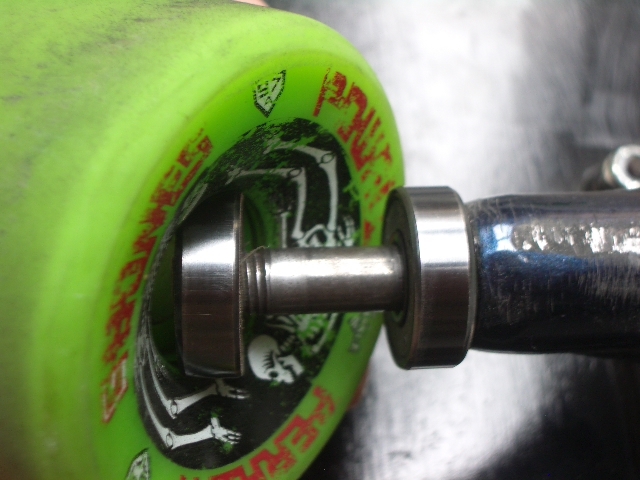 happy go skateboarding day, now go skateboarding! 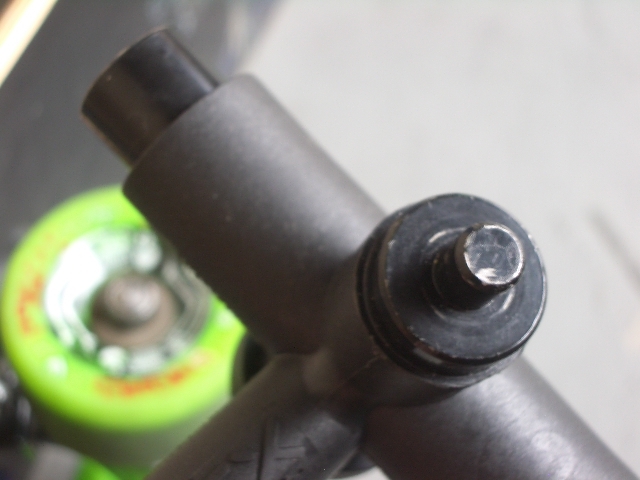 that’s all there is to it…repeat times 4 and don’t lose any spacers or washers! 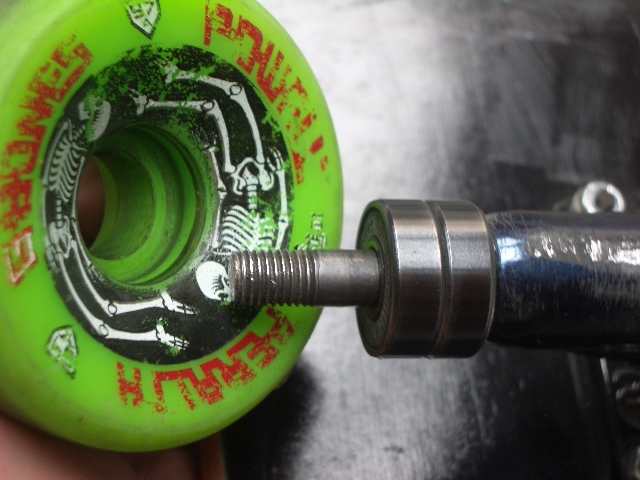 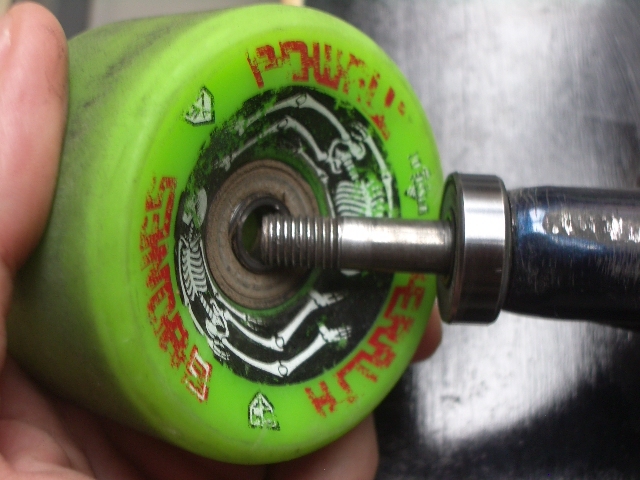 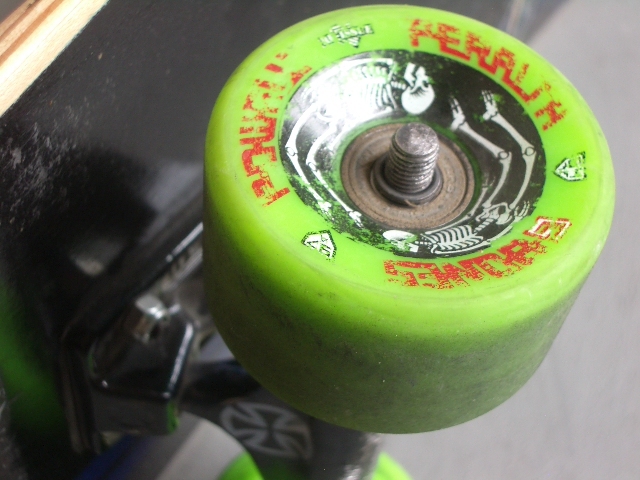 Posted in skate.Tagged bearings, boards, feature, fix-it, old-school.